Software testing must be a boardroom dialog; – But are enterprises doing it? The Twitterati went buzzing on July 3, 2017 when Nasdaq exchange set the stock prices of a list of companies at $123.47; slashing the stock prices for some tech companies and hiking it for others. According to a statement from Nasdaq, the glitch occurred due to ‘improper use of test data’. While the exchange continues to work with third parties to resolve the technical glitch, the intensity of the damage has dreadfully impacted some major tech companies such as Amazon, Apple, and Microsoft. On May 12, 2017 the digitally connected globe was shaken by the ransomware ‘WannaCry’. The virus encrypted all data on a system and demanded a ransom from the user to release the data. The impact was huge with 200,000 victims, affecting 150 countries, stalling online transactions, infecting Microsoft Windows XP Operating System, and much more. The situation got worse when tech experts warned that the threat was not over. Can such data breaches reduce or get totally diminished by installing a powerful anti-virus programs or there is a serious need for a thought-through Security Testing strategy? 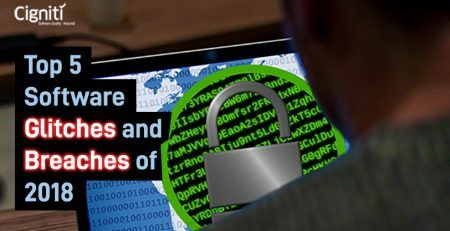 Post the fright created by WannaCry, a fresh ransomware Petya again hit the cyber walls of companies across Europe and USA. The stakes went much higher with this one, as the victims were unable to unlock their computers despite paying the ransom. So, experts in the digital and technology sphere have begun to question and anticipate whether these cyber-attacks are being designed for bitcoin or to create total disruption? These, and many such attacks have intensified the need for a comprehensive Application security strategy, comprising aspects such as rigorous code review, code security, and code analysis. A peculiarity with the Petya virus attack made the experts to think whether the attack was a ‘cyber-attack in disguise’. The virus was unable to decrypt infected machines, pay-out method was complex, the email address associated with the attack was shut down, and the Bitcoin wallet could grab as less as $10,000. Are hackers initiating such attacks just to create seizure in the cyber world? If so, what’s the recourse? The next wave of attack that disrupted the online banking space occurred when Westpac Bank faced an undetermined technical glitch. It made news when the customers blasted the bank for not being able to access their accounts almost for three days in a row. The mobile and online banking services of the bank had got hit by a technical glitch, disrupting the weekend plans of thousands of Australians and much more. The bank got attacked across twitter and other social platforms. Cyber-attacks and undefined technical glitches not only lead to financial losses, but also create a negative sentiment about the brand. A technical glitch or a software disaster can attack any industry and create disruption. Let’s look at the recent fiascos in the Airlines industry as well. In May 2017, an issue with a computer software led to major delays at Sydney, Melbourne, and Brisbane airports. A glitch with the global system for checking passports led to long check-in queues and total inconvenience for the passengers. Data leaks are killing the reputation of companies across various industry segments. A case in point is when a UK car insurance firm AA failed to notify their customers regarding a data leak despite being aware about the breach. The data got leaked via an exposed server linked to AA’s online store. 100,000 customer sensitive data was leaked and 117,000 unique email addresses were exposed. This is a classic case of inadequate security testing and incapable alert systems. Ultimately, the only reverse route to save the day is to reinforce the integral role played by Software Testing and Quality Assurance. 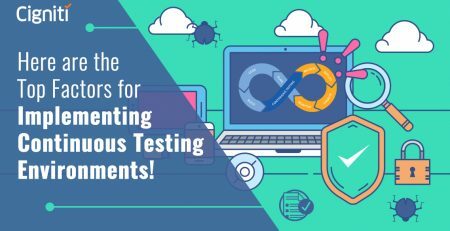 It’s time that Software Testing takes up a major chunk of Boardroom discussions and assume a crucial position in the strategic decisions. Quality Assurance is no more an afterthought, rather it cannot afford to be one. Software Testing must be continuous and iterative to make Digital Transformation real and secure for enterprises. 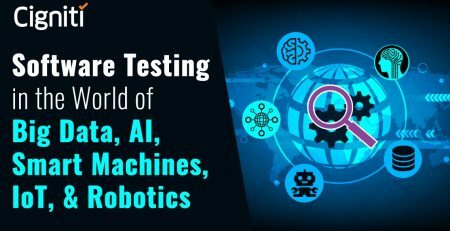 Decisions pertaining to Test Automation tools, software testing platforms, IP-Led testing solutions need substantial investments. These investments are essential to ensure seamless performance and sustained profitability for businesses. With enterprises taking the digital route, C-level executives are required to understand the significance of Software Testing and make necessary investments. Enterprises need technical precision and realistic approach to build robust applications for the digital era. Specialized and dedicated testing infrastructure such as IP-Led tools, frameworks, Testing Center of Excellence (TCoE) is essential to build applications that are market-ready. Digital Transformation has triggered the need to ensure enhanced customer experience. However, there is not much breathing time to make this possible at ease. Businesses are struggling to ensure quality and at the same time reach faster to the market. Technology touches every facet of human existence and is the reason businesses make money and sustain through turbulent challenges. So, it’s high time that discussions pertaining to Quality Engineering and Software Testing concern folks even at the peak of the corporate ladder and hit the Boardrooms. Cigniti’s Test Center of Excellence (TCoE) Framework (SCALE) is designed to provide a holistic and integrated way to achieve excellence for a testing organization or unit. The proprietary framework consists of core elements addressing all aspects of an organization. Connect with us to build the required infrastructure for your organization’s testing needs. Sairam Vedam, VP & Global Head, Marketing at Cigniti Technologies. An Award Winning Global Marketing Leader, Speaker, Blogger, Start-up Mentor, Technologist, and a CSR Leader.